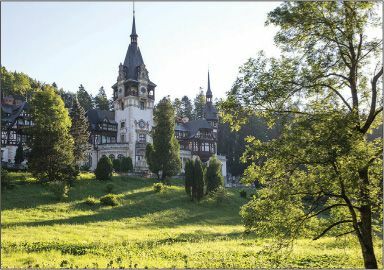 A long drive amid speeding Mercedeses and horse-drawn carts brought us to a Transylvania eco-lodge where we hoped to spot brown bears. At dusk, a guide led us to an observation post, where we were told to sit and remain as silent as possible. Forty-five minutes passed painfully slowly before a mother bear and two cubs plodded into view. “We watched as they rummaged through the grass, the babies tumbling over each other—and gasped when we spotted a huge male bear stalking the little family.” He gave chase, but the mom and cubs slipped off just in time—“a happy ending to our very own private nature movie.” At Bucharest’s five-star Grand Hotel Continental (continentalhotels.ro/en), doubles start at $118.